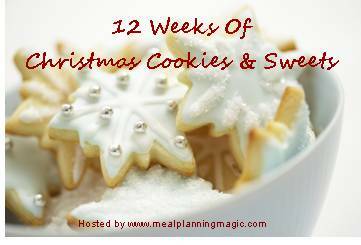 How can we be at the 4th week of the 12 Weeks of Christmas Cookies & Sweets already? I guess it’s true what they say: time flies when you’re having fun! I had some trouble with this week’s post. 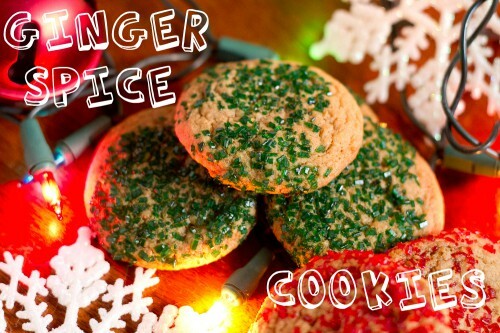 I found a great no-fuss sugar cookie recipe that you prepare like a bar cookie–no rolling out dough and cutting it!–but it just didn’t perform to expectations. It tasted great, but I didn’t like the way it looked in the end, and I had some difficulties getting it spread in the pan, too. I decided it wasn’t worthy of the 12 Weeks of Christmas, so I had to start from scratch. Today. Because that’s how I roll. 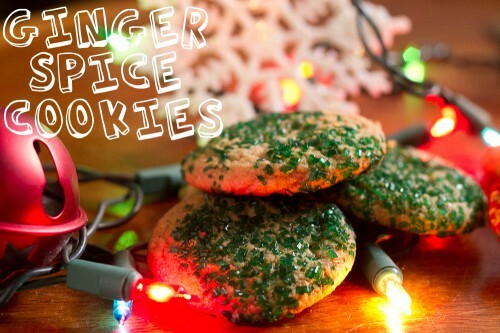 In my Cookie Jar Pinterest folder was a gingersnap cookie that had caught my eye weeks ago. 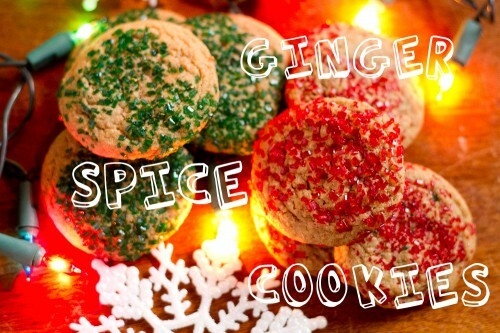 No ordinary gingersnap, this one is chewy (so it’s more of a Ginger Spice Cookie than anything else, in my humble opinion)–and another great flavor of the season. How could I resist? Preheat oven to 350 degrees Fahrenheit. Grab 2 cookie sheets and set them aside. In the bowl of a stand mixer fitted with the paddle attachment, cream together the sugar, egg, and butter, beating until light and fluffy. Add the molasses and beat for one minute, stopping to scrape the sides at one point to ensure it mixes evenly. Add the rest of the dry ingredients (except for the ⅓ cup colored sugar sprinkles) and mix until just incorporated. Using a small cookie scoop, portion out the dough and roll the balls in the colored sugar sprinkles. Set on the baking sheets 2 inches apart from each other. Bake for 8 minutes or until just crinkly. Allow to cool for 2 minutes on the baking sheet before transferring to wire racks to cool completely. What did everyone else put on their cookie platters this week? Yummm!! I am definitely going to have to try this recipe. I bet that cayenne would be fantastic! 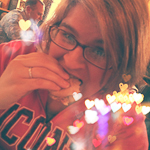 I know Food Babbles made a chocolate cookie last month that had some cayenne in it. Mmmm…spicy! Usually I make gingerbread cut-outs, but I hate doing the cut outs. This may be my new favorite in their place! That’s the bonus to going on a hunt in the basement recently for something from 20 years ago. I found my old small strand of lights! 🙂 Thanks, they’re very tasty! 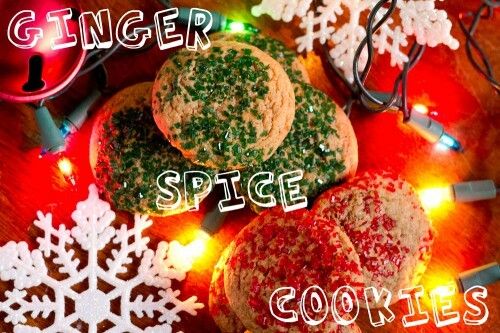 This does look good, but ALWAYS ADD MORE GINGER.